Prize-Winning Recipe 2010! 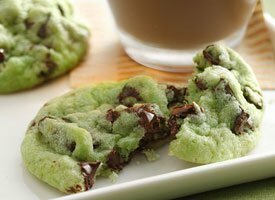 Whip up a batch of cookies with chunks of chocolate and a touch of minty freshness. I just saw this recipe in this months cooking magazine that I got in the mail. These cookies just look to good not to try. It's a very creative twist on a timeless classic!